Includes: Transportation, National Park entrance fees, guide, bottled water, lunch. The magnificent turquoise blue waters together with all the nature that surrounds them make Rio Celeste a place to admire. Located in the outskirts of the Tenorio River, this one of a kind river awes visitors from around the world with its unique beauty. 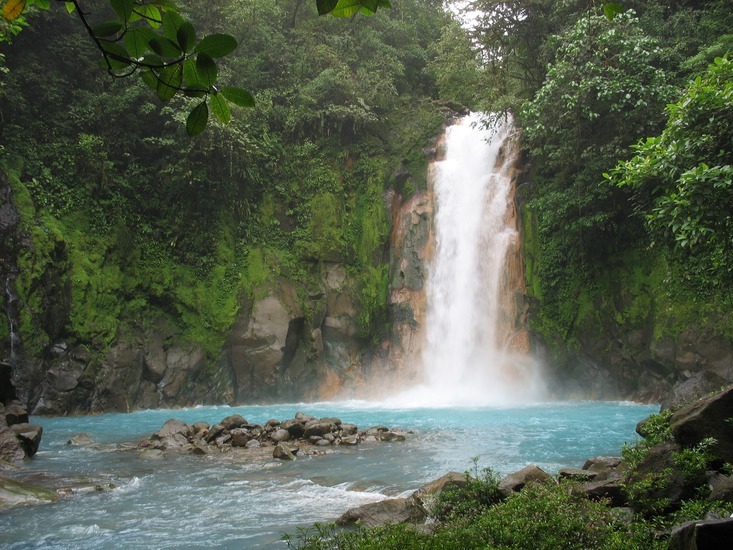 A trail of 7 kilometers (4.34 miles) will take us through the forest, to several interesting places, starting with magical Rio Celeste Waterfall, the blue lagoon; a stretch of the calm river that makes a beautiful natural lagoon, followed by the observation deck of the Tenorio Volcano, which offers incredible views of the volcano and the surrounding mountains. Next come two more unbelievable attractions: Las Ollas which are fumaroles filled with boiling mud and finally the Teñideros which is the place where the river acquires it unique color due to a natural chemical reaction. On the way back we will continue to walk alongside the riverbank, admiring the bubbling waters, the natural hot springs and the incredible scenery that envelopes us. The final highlight of our visit to one of the most popular attractions in Costa Rica will be a delicious hot lunch, before driving back to your hotel. Insect repellent, light clothing / shorts, trekking shoes, binoculars, camera, raincoat or umbrella.